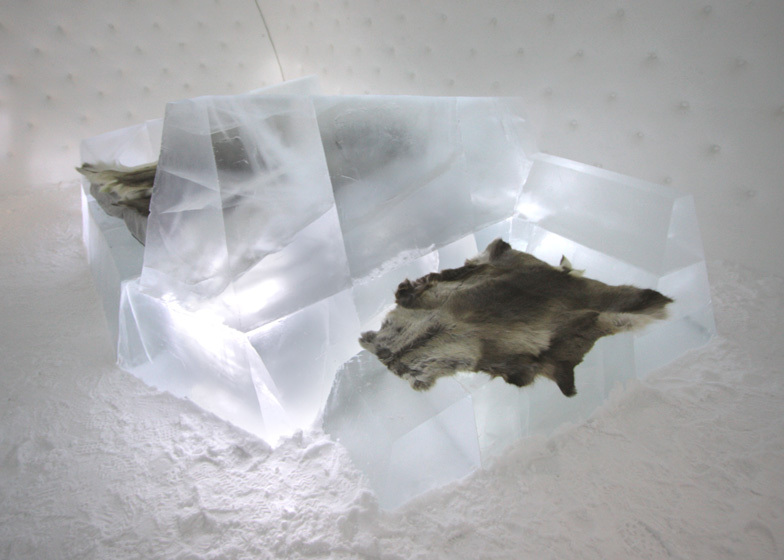 Dutch designer Wouter Biegelaar used blocks of ice to sculpt a single piece of furniture for lounging, sleeping and dining inside a suite at the Icehotel in Lapland (+ slideshow). The Icehotel is constructed afresh every year in the small village of Jukkasjärvi and is only open to guests for a few months before the walls of ice and snow begin to melt. Each year a number of artists are invited to design and build a suite during November and December. This year, Wouter Biegelaar was invited for the first time. 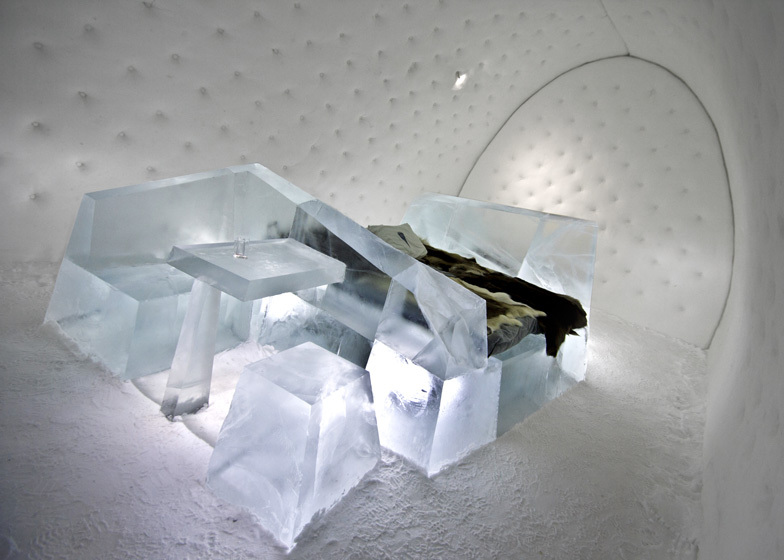 He wanted to create "an iceberg in a soft environment", which prompted him to design a single icy object lit from within, incorporating a bed, a sofa and a dining table with two seats. The arched walls and ceiling of the suite are covered with snow, sculpted to resembled the soft padded upholstery of a Chesterfield sofa. 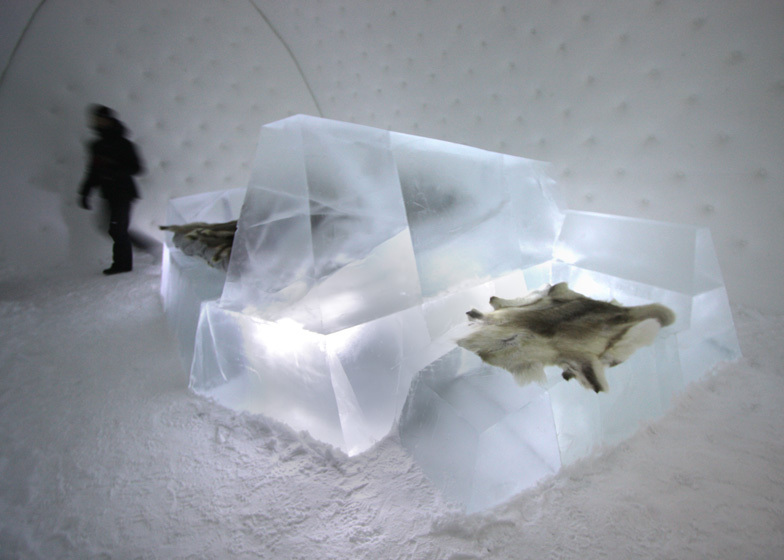 "It was my first time working with ice and snow," the designer told Dezeen. "It was a really nice experience. You can work really fast with them. 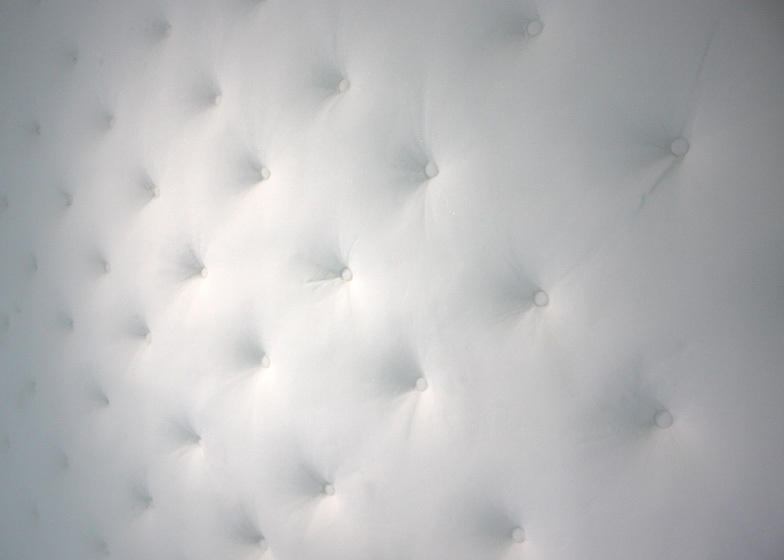 The best feature was that the materials have no grain or direction. Where a chisel would follow the grain in wood, in ice it's a direct result of how much pressure you apply, so it does exactly what you want." 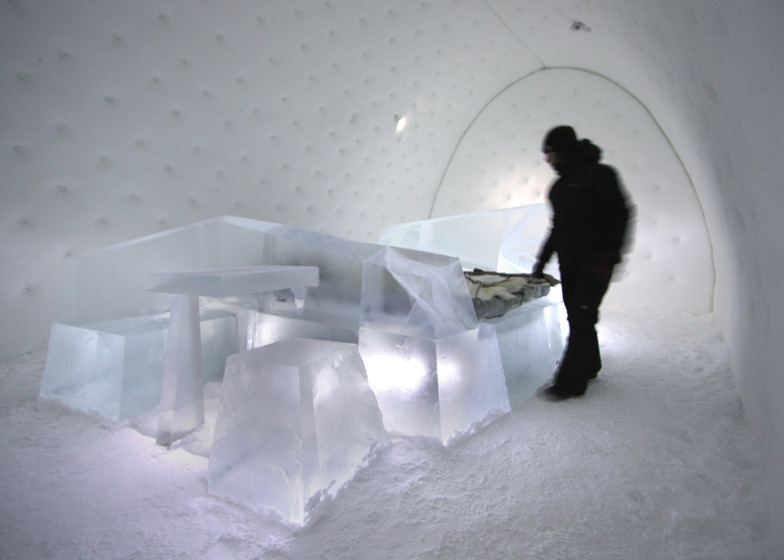 Suites at the Icehotel can be rented privately for overnight guests but during the day each one also becomes a gallery that is open to visitors. The hotel is now in its twenty-third year. Previous installations include a barrel-vaulted space with a bed surrounded by icy fins and an ice church.